It was my birthday yesterday, and I definitely do NOT want to dwell on what 23 means to me, or look back over 22. 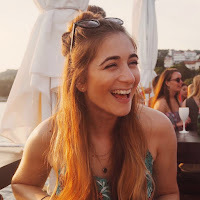 Read my blog posts and you'll get the gist (spoiler: it was naff). Instead, I want to talk about what my Mum and I got up to last Friday for our joint birthday celebrations. She took the day off work and came down to London so we could have a much needed girly day, and we definitely made the most of it. When we finally found each other at Waterloo (imagine lots of frantic calls of "where ARE you?" "I'm here! Where are YOU?" "I'm here...!" 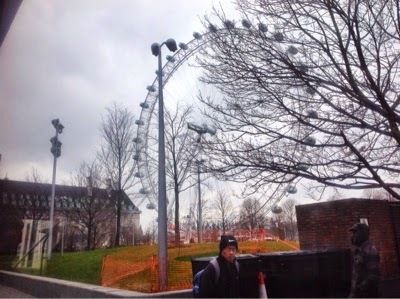 etc) we mooched on over to the London Eye to wait for our ride. 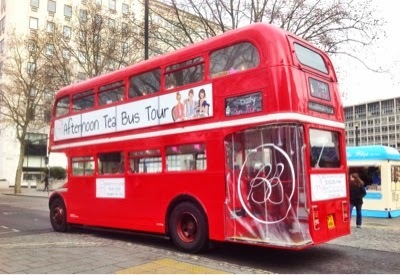 And our ride was the one and only (okay, so they have a fleet of 4, but only one at a time) BB Bakery Afternoon Tea Bus - suuuper cute, right? 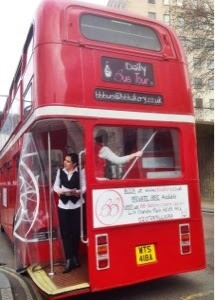 The classic London Routemaster bus has been given a BB Bakery makeover, with two levels of seating for afternoon tea enthusiasts who want something a little different. 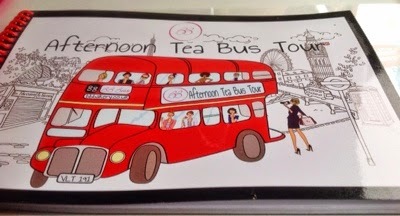 It's afternoon tea and sightseeing in one! We'd let the company know beforehand that my Mum was a vegetarian, and the "veggie side" was pointed out to us when we first boarded and sat down. 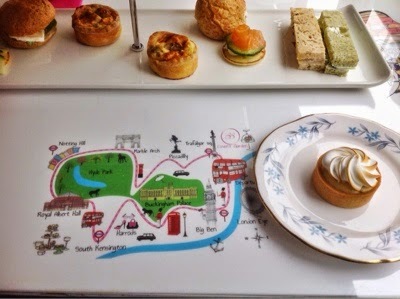 The tables were adorned with an illustrative route which you could refer to between munching on the usual afternoon tea suspects. And there was a brochure with a bit of history on the classic sights if you're that way inclined (we were a bit too distracted by the sweet and savoury offerings, not gonna lie). 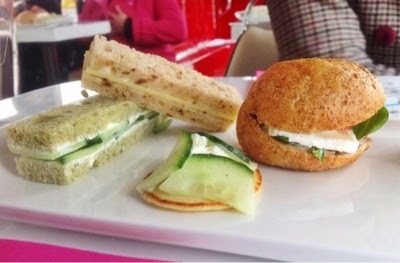 On the veggie side: cream cheese and cucumber sandwiches, a blini and a soft wholemeal roll with Brie and rocket. The meaty side: mushroom quiche (this wasn't pictured on the veggie side, soz, but my Mum also had this), salmon & cucumber blini, chicken sandwich and cucumber and cream cheese sandwich. Our selection of cakes. 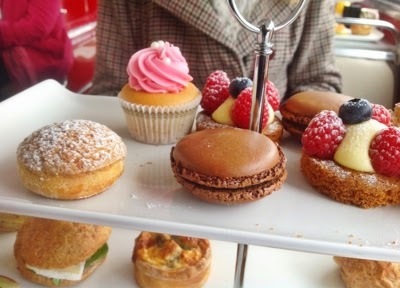 The one on the far left had vanilla custard in it, and the cake with pink icing was filled with a raspberry compote. The macarons were so good that they converted my mother, who wasn't keen on them before. Huzzah! 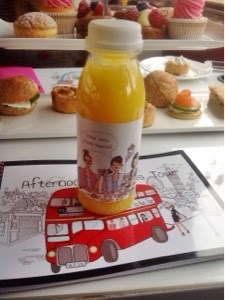 BB Bakery branded, freshly-squeezed orange juice. Because why not? Big up to the guy with the Nike beany. It was blimmin freezing so I feel for him! We were happy to escape the chill. At the beginning of the tour, the safety information was quickly laid out for us by hosts Gabby & Chloe - no walking around when the bus was travelling, and try not to drink TOO much because there were no toilets on board (maybe something to consider, but the tour only lasts 1 hour 30 mins, and we found a loo soon after anyway. TMI? Maybe). 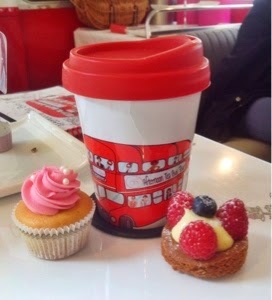 Cute china mugs with a rubber cap housed our tea or coffee. They had a surprising number of teas to choose from including Breakfast, Green, Peppermint, Red Bush, Darjeeling, Earl Grey... I opted for a classic breakfast tea and my Mum went for a decaf coffee. 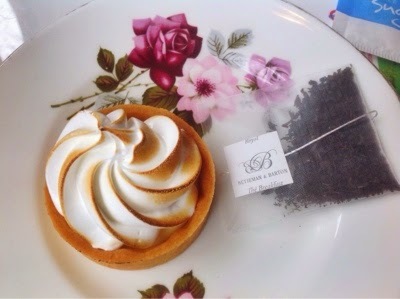 A tasty, mini lemon meringue pie and posh teabags courtesy of Betjeman & Barton. Halfway through the tour, a chorus of "Happy Birthday" started up, and for a moment I was really confused. Who's birthday is it? Um, d'oh, it's ours! I guess because it wasn't our birthday for another four days, I just wasn't thinking. Story of my life. 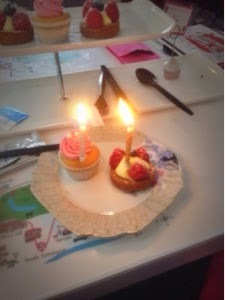 It was a lovely surprise, although my Mum and I looked at each other like Ohmygod, MORE cake! 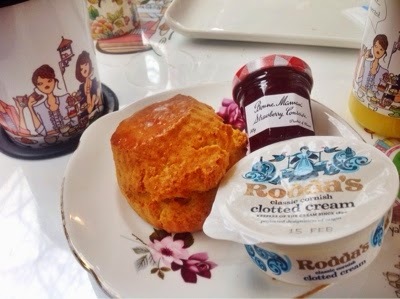 The scones were rolled out afterwards and my gosh, don't you love Bonne Mamnan miniatures? They definitely deserved a little snap. We couldn't manage them (lightweights, I know) so we saved them for later and they were indeed YUMMY. Towards the end of the tour we gave the brochure a little browse and were pleased to see that BB Bakery contributes to various charities, both mainstream and grassroot (smaller and lesser-known charities, but no less worthier causes!) which we thought was really nice. Cake with a conscience, right? We were provided with some pleasantly pink cardboard carriers for our leftovers which we happily accepted, the idea of cake going to waste breaking our hearts. Me and one of the hosts on board, post afternoon tea! 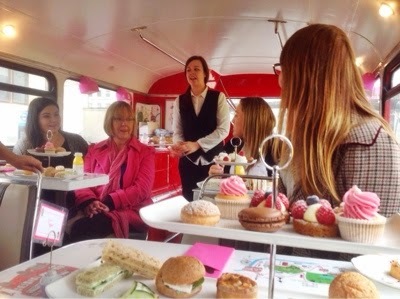 My mum and I had such a lovely time on the BB Bakery Bus! 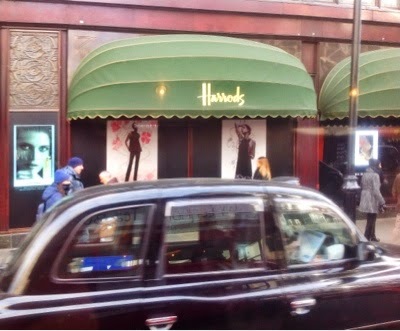 I fully recommend it for a special occasion, or if you have someone visiting London for the weekend. It's not an informative tour, but the information is there should you want it, and the cakes, sandwiches and tea are always flowing. If you only order one thing: Save room for the lemon meringue pie! Reservations: email bbbus@bbbakery.co.uk or book online here. 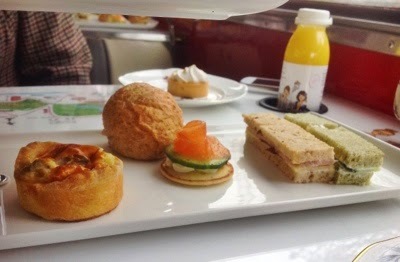 If you prefer to have your afternoon tea static, then BB Bakery's original venture is probably more up your street at Chandos Place, Covent Garden.COMING SOON is an afternoon tea BOAT tour. I'm so there. 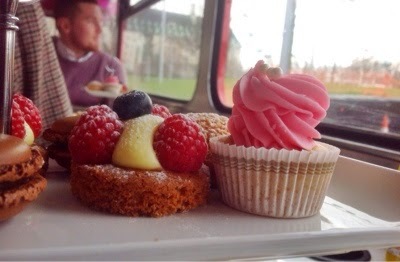 *Our visit on the BB Bakery Bus was complimentary, but my opinions are all honest and unbiased. Haha, amended! I'm clearly uncultured ;) thanks Leanne!